Roman Abramovich may have spent millions of pounds on a season of underachievement, but your average Chelsea fan can pick up a reminder of a campaign of mediocrity for just Â£11.99. Mr Abramovich must be wishing he had just kept his money in his wallet and waited for the DVD. 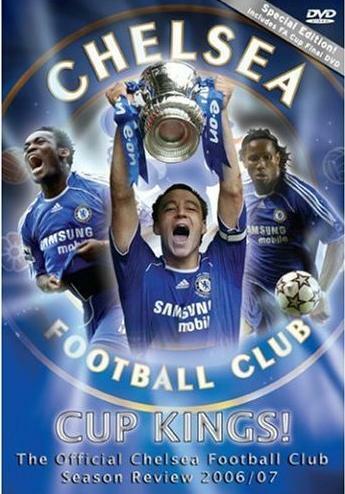 Presumably given the working title Chelsea Quadruple Kings, the DVD documents the Blues two cup triumphs but, alas, there failure to retain the league title or win that elusive Champions League title. Celebrate the double Mourinho never wanted by clicking here to buy it. I have some pretty good things going on in the fantasy sports world. Come check me out, I like what you have going here.